Olivia is one of Poland's most exciting DJs, and a huge advocate for the sounds coming out of her home city. For years she headed up the bookings at Krakow's best night club Szpitalna 1 and makes up part of the team behind experimental electronic music festival Unsound. Her DJ sets and productions showcase her love for acid, techno, 80s synth and electro and have seen her start picking up bookings across the world. Kraków is a beautiful city with many monuments and wonderful places. I was born in Kraków and have lived here all my life. During this time I have witnessed a lot of changes of various kinds. Unfortunately one of the biggest is that Krakow for the last few years became a very popular tourist destination. On the one hand, it’s good as more and more people get to know my city, but on the other, and this is what concerns me the most, is that the city suffers from gentrification. But despite that, there are still some places which have survived the influx of tourists without losing its bohemian or artistic character. 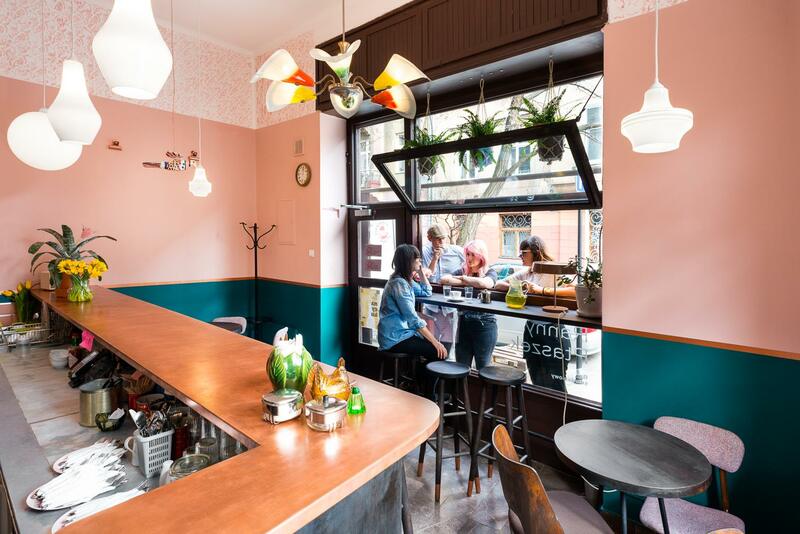 Those are the places where you can feel Kraków's vibe and hang out with real Cracovians. One of those places is Alchemia. It was opened in 1999 and still continues being a magical, bohemian place. It is located on Plac Nowy, in the heart of Kazimierz, the Jewish district of Kraków. Nowadays Plac Nowy is an extremely popular place but not everyone knows that Kazimierz not so long ago was quite a dangerous neighborhood. During only the past 15 years it has changed drastically and nowadays is one of the most vibrant districts of the town. Here Cracovians hang out. It is very impressive for me to see Alchemia survive for so many years without losing its vibe. They have a nice basement with a stage where many great bands played and from 2006 they also organize Krakowska Jesień Jazzowa (The Jazz Festival), a really special event for Jazz music in Poland which is known worldwide. 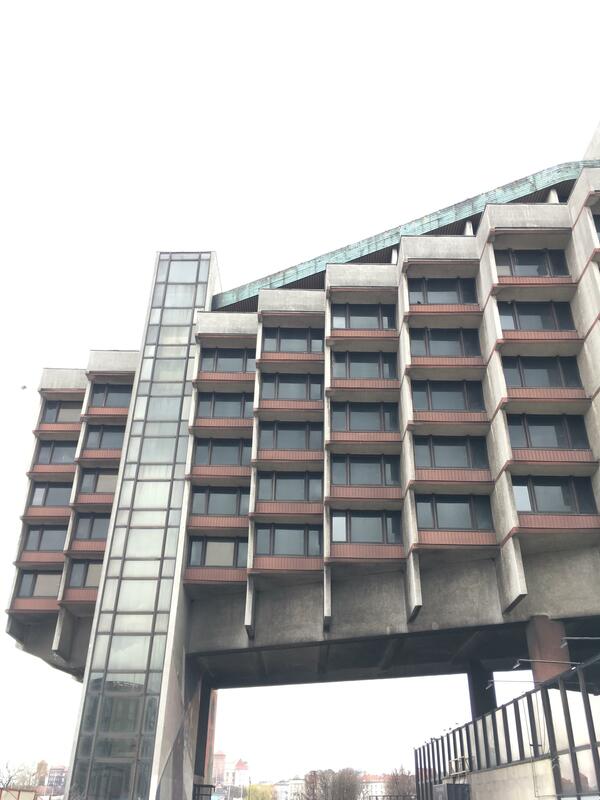 Hotel Forum was opened at the end of the 80s and probably in that time was one of the most modern hotels in Poland. 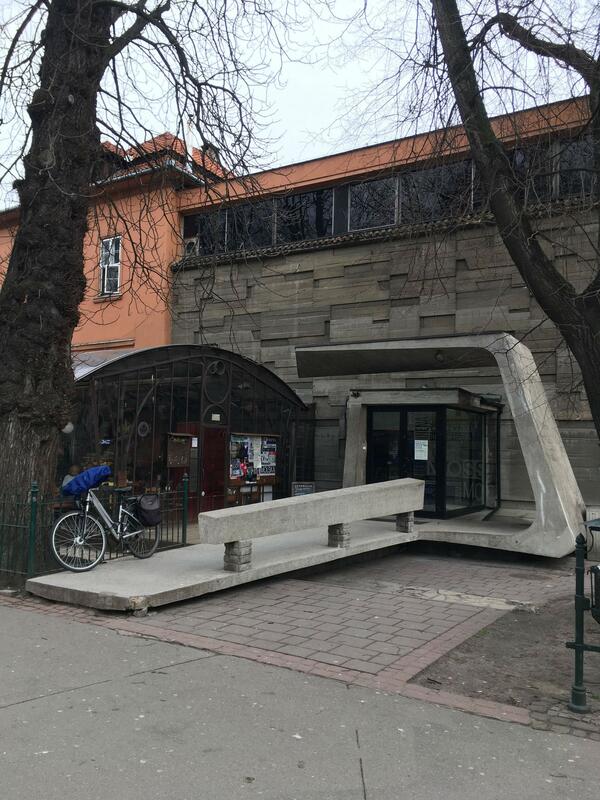 It was designed by Janusz Ingarden who is known for his recognizable style exemplifies brutalism, the architectural style created at the end of the 40s. It’s my favorite building in Krakow. I remember when I was a little girl and how much it impressed me. My parents had a tradition to go for a coffee and cake there on Sundays and sometimes they took me with them. We sat in the restaurant which was located on the highest floor, on the terrace with an amazing view of the Vistula River and Wawel Castle. Unfortunately, the hotel was closed for an unknown reason - although there are tons of urban legends about it - and for a few years, nothing happened there. It changed when Unsound Festival decided to throw its club nights there in the year 2012, then at the beginning of 2013, the club/restaurant Forum Przestrzenie opened giving Hotel Forum a new life. It is a spot hosting many different events, from night clubs to food festivals, and I’m happy to see this amazing place teeming with life. Club Szpitalna 1 is very close to my heart, as from September 2016 till December 2018 I worked there as a booking manager. I am still a resident DJ of Szpitalna 1 among other amazing artists. 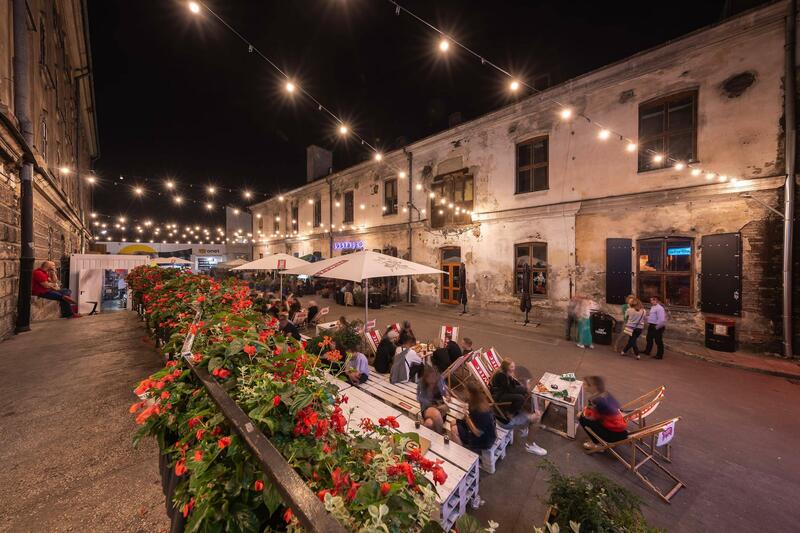 If you want to party in Kraków, Szpitalna 1 is the place for you. It has the best music program that oscillates around modern electronic music and the best sound system in town. The program is very diverse but mainly you can hear techno, acid, electro, house and disco. 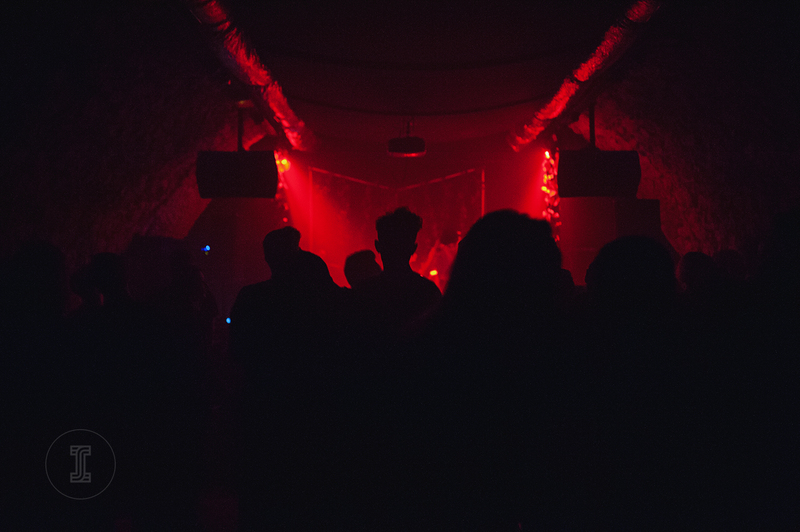 Many amazing artists have played at Szpitalna 1, like Ron Morelli, DJ Stingray, Stephanie Sykes, Josey Rebelle, Violet, Lee Gamble, Octo Octa, Samo Dj, Parrish Smith, Xosar, Interstellar Funk, Freddy K, Umfang and An-I to name a few. Zet Pe Te is located in the old buildings of Tobacco Plants and therefore has a very industrial character. The club is very big, can host up to 800 guests at the same time, thanks to that lots of promoters can throw their festivals there. One of them is Czeluść Festival that unites the Polish bass scene. 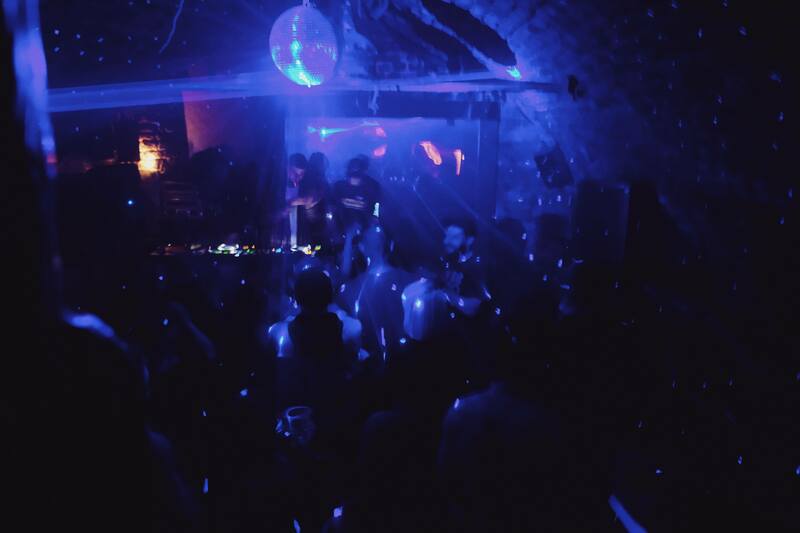 Zet Pe Te doesn’t have one way of programming, that’s why you can find events from various musical words, from jazz and rock concerts to huge techno or gabber parties. If you are looking for something smaller, Święta Krowa is the place for you. Cosy bar with really tiny dance floor and very nice music program, it is a special place that makes you feel like home. 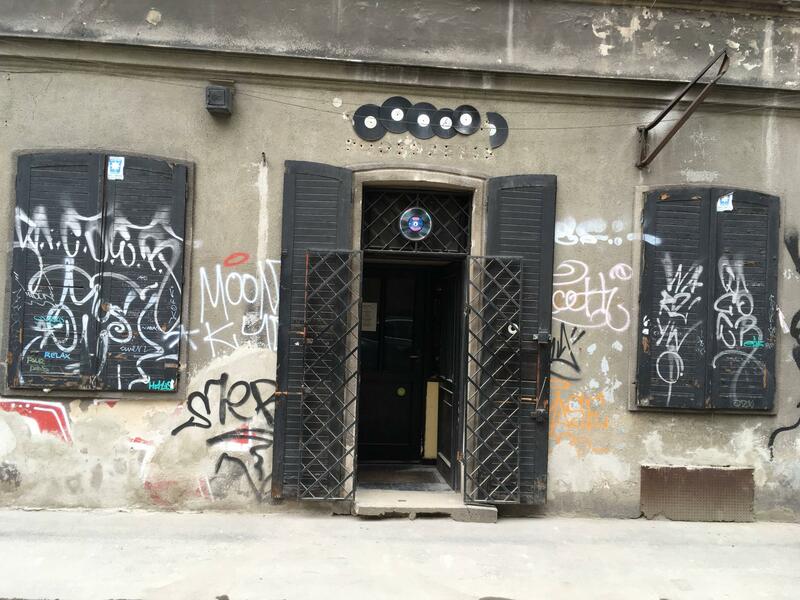 It’s present on Kraków’s club scene for 15 years, located in Floriańska Street that is one of the most touristic streets around the Main Square, but still, they managed to maintain an independent vibe and stay out of commercial radar. 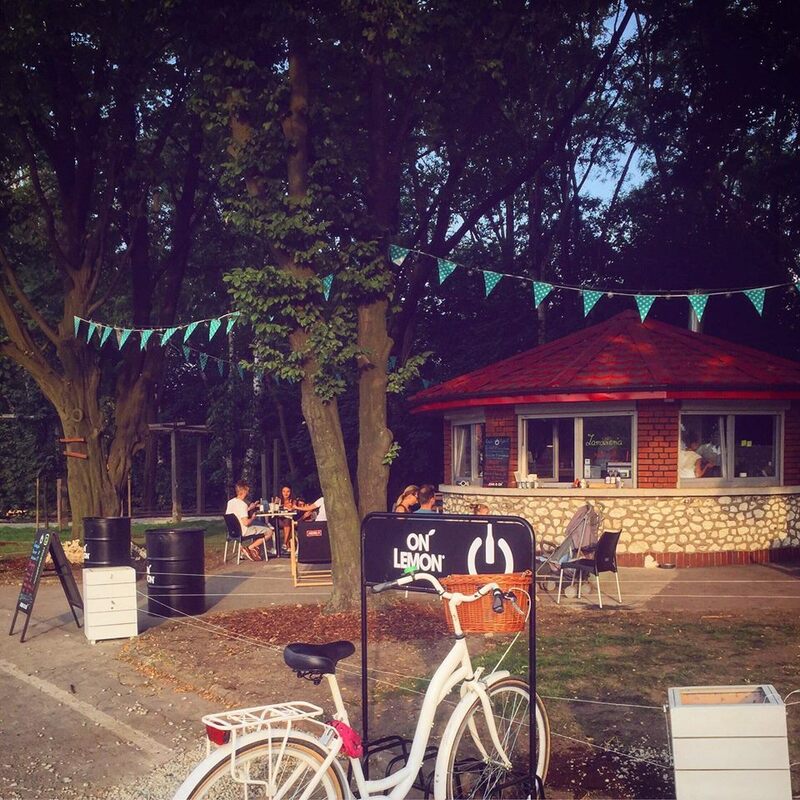 I wish more places like this survived during the years, but year after year It’s getting more difficult to stay independent in Krakow but Święta Krowa still is and knows how to do it. Are you hungry and want to eat something local? The most popular street food of Kraków is zapiekanka. This is a long sandwich with various toppings that is baked in an oven. There are tons of places where you can get them but there is only one that serves original, homemade zapiekanka. 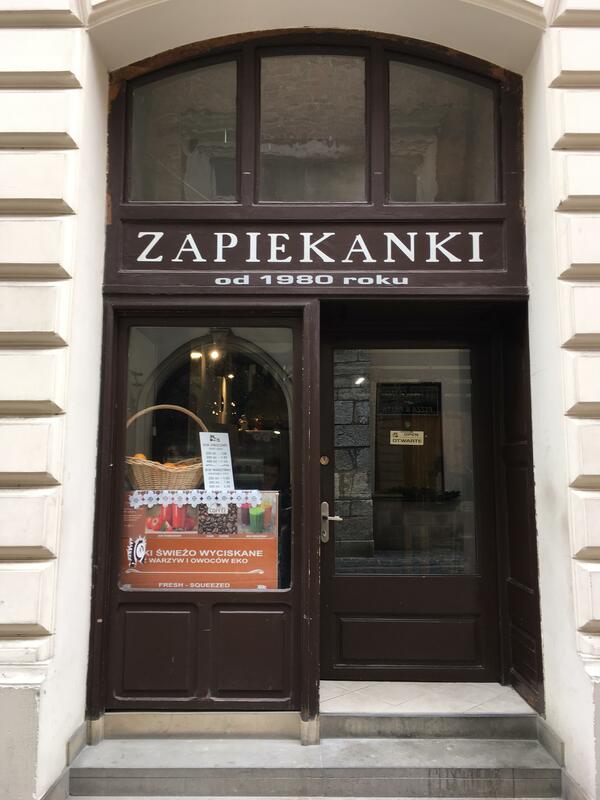 On Sienna Street, there is a tiny place with a simple menu called “ZAPIEKANKI OD 1980 ROKU”. Here you can get delicious zapiekanka with fresh toppings and enjoy the company of local pensioners that often stop by to chat with the owner. My mom took me there when I was small after school and from that time the taste is exactly the same. Real old school Kraków’s experience just a couple of steps off the main market! After that get some scoops in ice cream joint on Starowiślna street. Ranny Ptaszek is a place where I like to go for a delicious breakfast. It’s something magical in this place probably because of the lovely owners who make a wonderful atmosphere there. When you go there you start your day healthy and with a good mood. Next to them is another great bar Hummus Amamamusi where you can eat one of the best hummus in town. Park Bednarskiego, located in Podgórze district is my favourite park in Kraków. I love that it has kept it's natural shape, thus is a little bit wild. If the weather is good you can see an amazing view of Krakow from there. On the back of the park is an old small football stadium where is also located a small booth with the best burgers in town. Last summer I loved to go there with friends and take the dog for a walk, then eat the perfect burger and if you're lucky on Sunday you can watch a football match. Sounds like a perfect Sunday, right? We don’t have too many record shops in Kraków but there is one hidden place with vinyl in Kazimierz, located on Podbrzezie Street. Hi Fidelity is run by a very special owner so it’s the best not to show him that you’re out of town, it can result in not being served. But it’s not a rule, he sometimes doesn’t want to sell anything to locals, he’s just very picky when it comes to customers. If you’re lucky you can go out of this place with a handful of vinyl with rare polish rock or jazz. This is the place for people who are interested in Polish music and want to find there something special. In my opinion, Bunkier Sztuki is the best gallery with Modern Art in Krakow. It presents international modern art and at the same time promotes artists associated with Krakow. Exhibitions, performances and installation are showed in Bunkier, most of which are accompanied by extensive catalogs and discussion meetings with the participation of critics. There is also a very good bookstore there called Ha!art Bookstore that has well curated book collection, as well as sells items of local house named Ha!art. 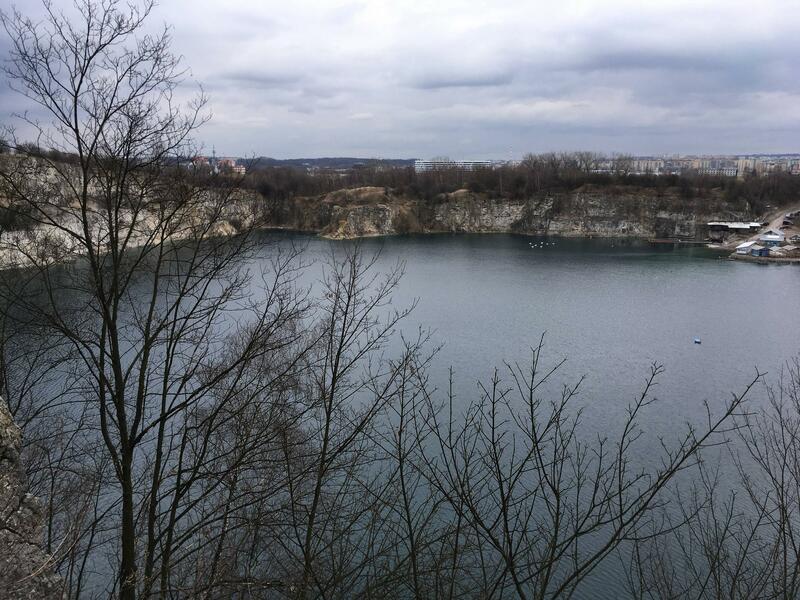 Not everyone knows but we have a wonderful lake in the middle of Krakow which is surrounded by small forest and rocks called Skałki Twardowskiego. I grew up near this place and I still live close to it so when I need time to calm down I have just 10 minute walk there, where I can spend time in nature and rest. Follow Olivia on Facebook. Find out more about Lapsus.